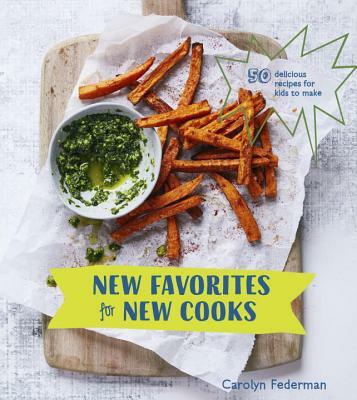 From a leader in the field of food education, this smart, fun, lavishly illustrated cookbook provides 50 kid-tested recipes that engage children's natural inclination for adventure and use fresh, seasonal ideas for breakfast, lunch, snacks, and sweets to teach basic cooking skills. CAROLYN FEDERMAN is the founder of the Charlie Cart Project, a nonprofit that provides tools and curriculum for food education in schools. Prior to Charlie Cart, Carolyn worked in food education for more than a decade, leading Alice Waters's Edible Schoolyard Project, consulting on policy and program development for the Jamie Oliver Foundation, co-founding the Berkeley Food Institute, co-producing UC Berkeley's Edible Education course with Michael Pollan, and teaching cooking in her children's schools. Carolyn lives in Berkeley, California, with her two teenage children.